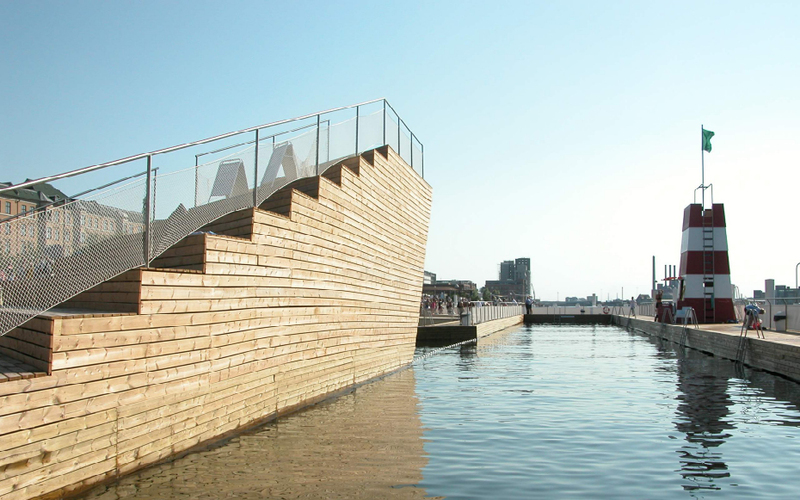 Copenhagen’s harbour is undergoing a transformation from an industrial and transportation junction into the city’s cultural and social center. 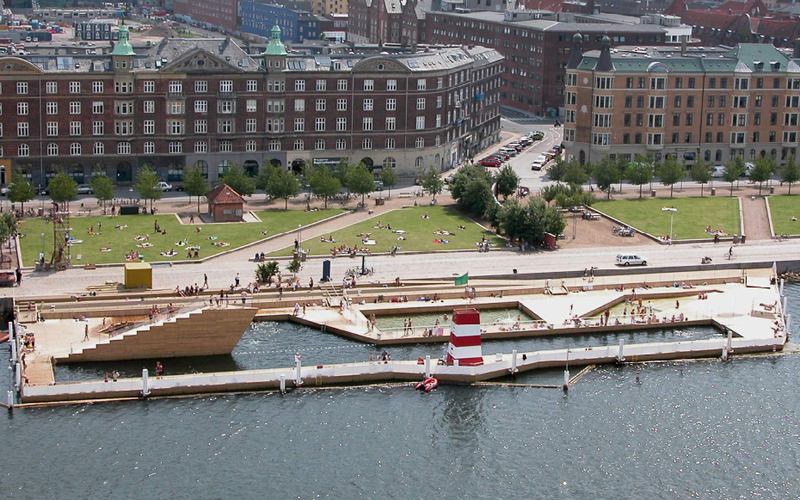 The Harbour Bath design emerged out of a desire to extend the surrounding park onto the water while also adhering to practical needs of public accessibility, safety and programmatic demands. 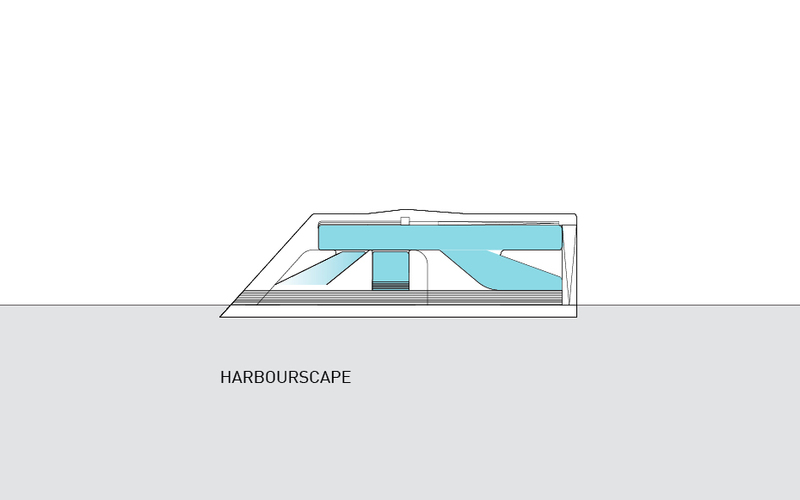 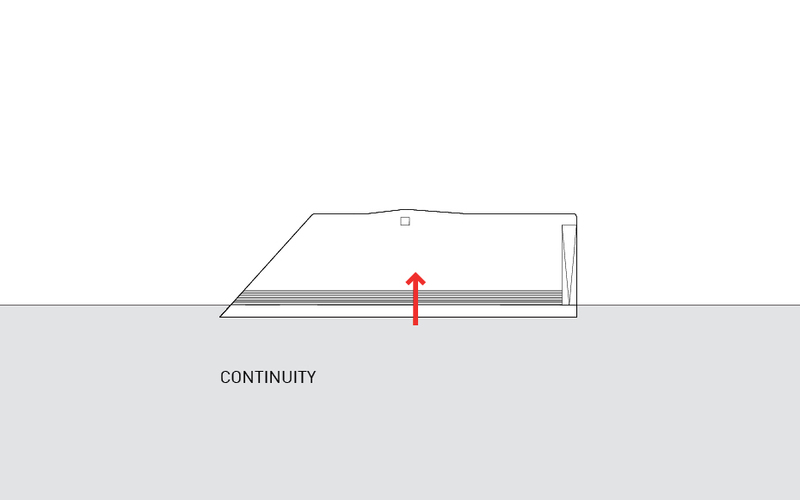 The Harbour Bath realizes the transition from land to water as a terraced landscape. 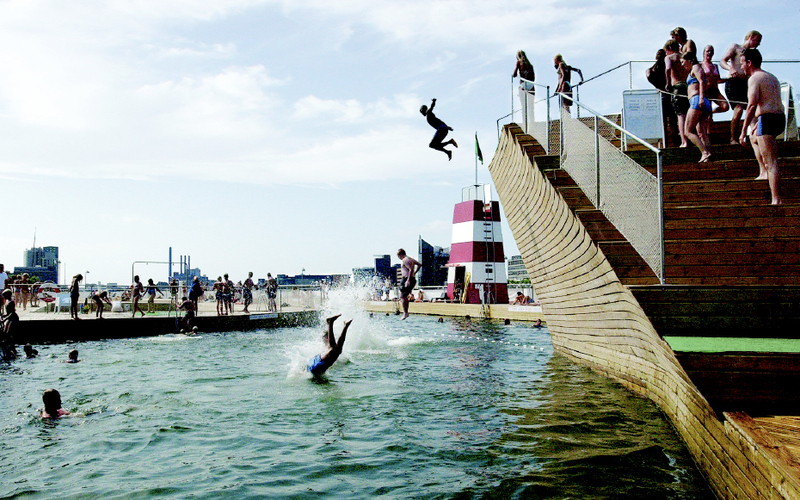 People go to the harbour bath in the way that people go to the beach rather than a swimming hall. 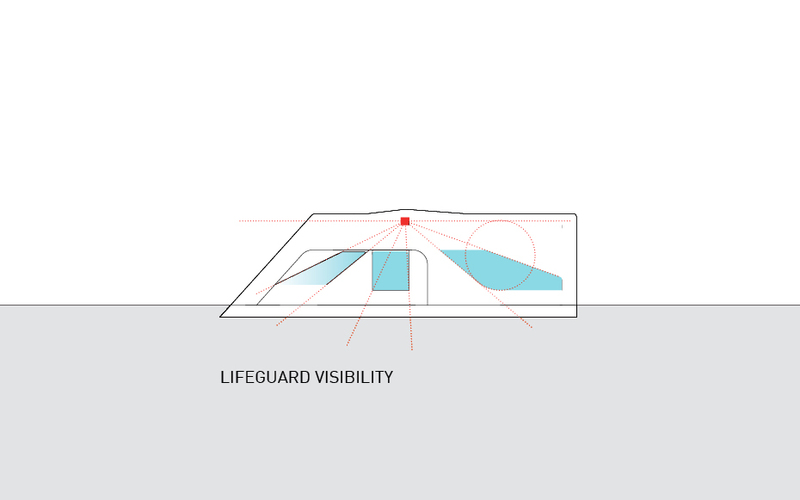 Not necessarily to exercise, but primarily to socialise, play, enjoy the sun, look at girls/guys. 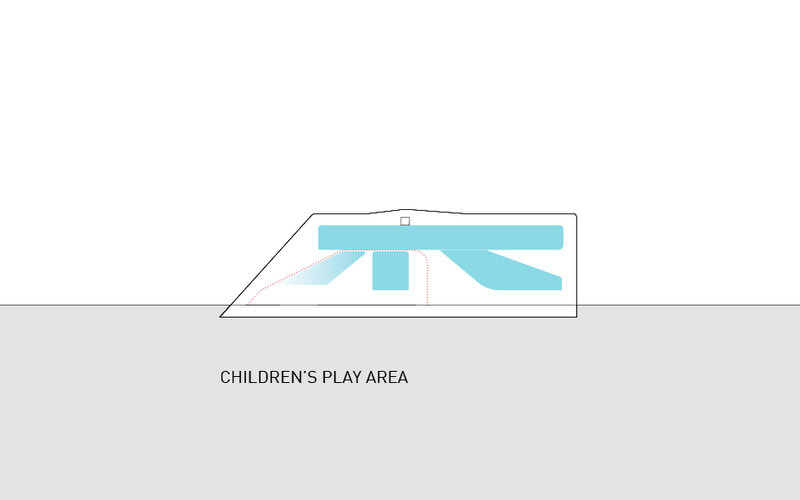 This means that not only should the water be able to accommodate more interactive and playful activities than the focused (and lonesome) swimming back an forth but the land should also be geared towards a more accommodating and generous environment. 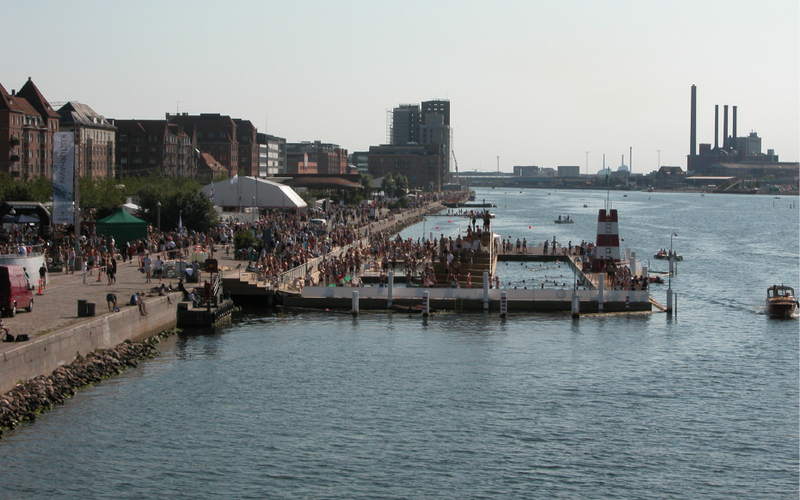 Therefore, the harbour bath acts more as a public place with spaces to gather and interact. 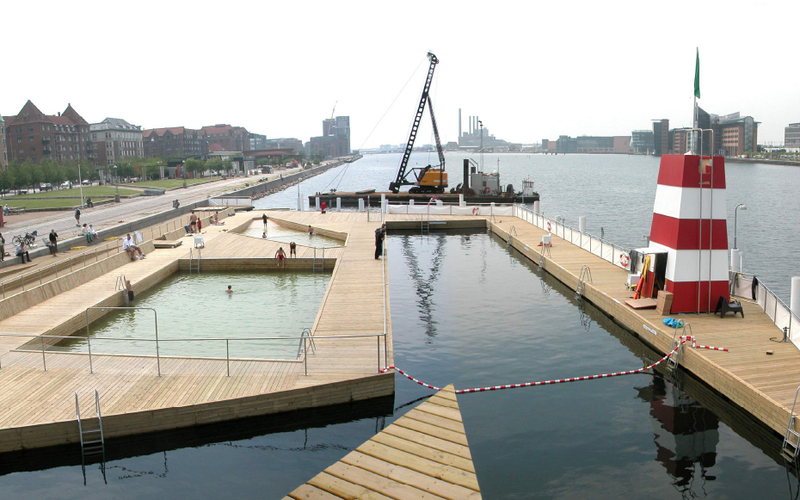 The Copenhagen harbour bath has become a symbol of the presence of leisure and water culture in the heart of the city. 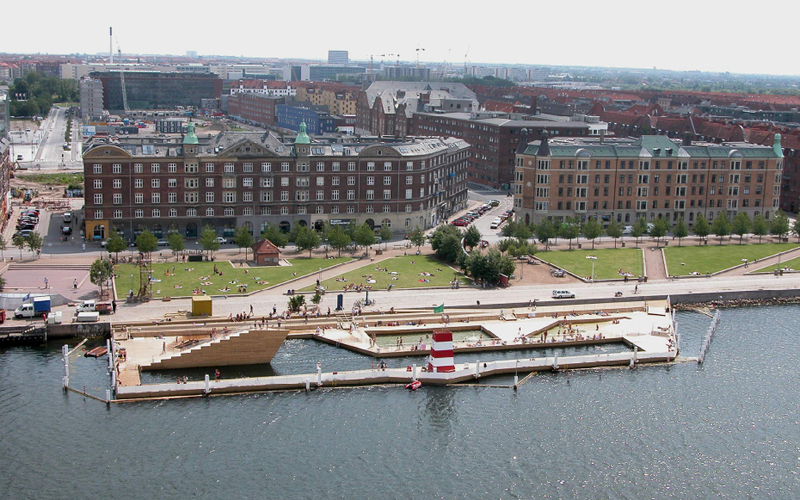 Visible from ‘the main land’ and the nearby Langebro (long bridge) it is an icon of the new possibilities the reclaimed harbour offers for contemporary urban life. The Harbour Bath also meets the desires of contemporary thought in sustainability. 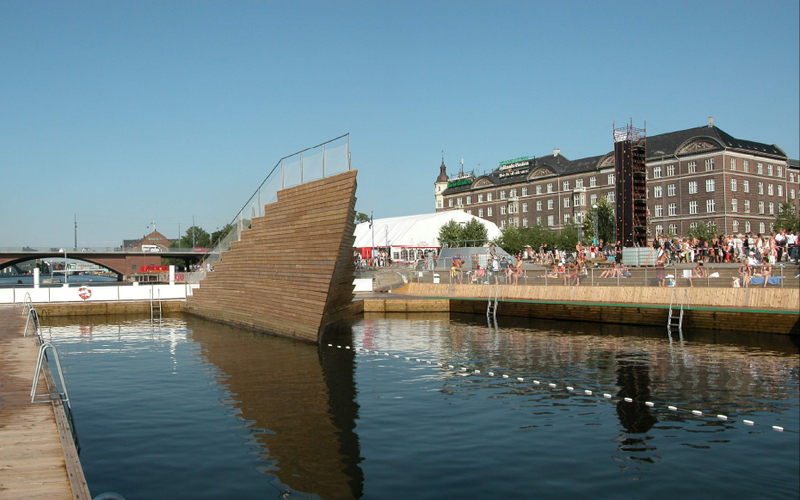 It is constructed of renewable indigenous wood from Scandinavian forests and is easily removable, as it is built upon floating pontoons. 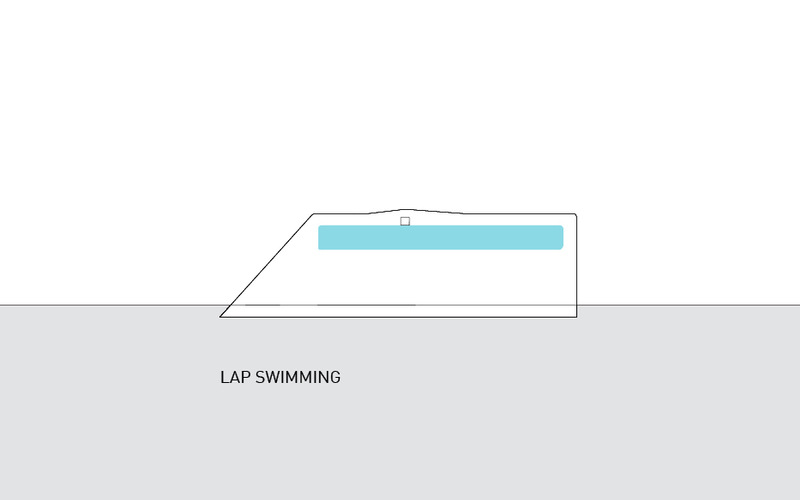 Again, unlike a swimming hall, the Harbor Bath consumes very little utility energy for operation and maintainence: it is instead dependent upon the exertion of human energy.